The Grit Removal Package system is similar to Screen & Grit Removal Package system, and offer the same benefits, but it does not include any screening. 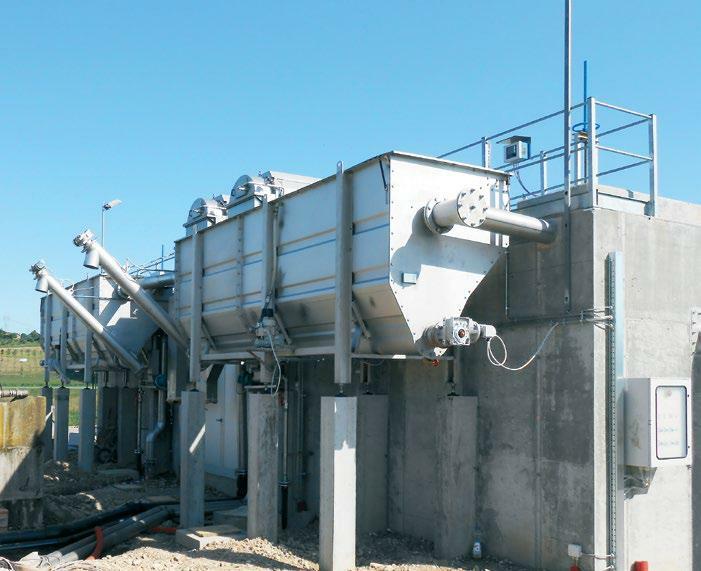 The Grit Removal Package System is designed to provide grit removal pre-treatment in a single packaged unit process. This machine has a flanged inlet for connection to pumped or gravity inflow, and a flanged outlet. Influent passes through a sedimentation tank where heavy particles (sand and grit) settle to the bottom. Sand & grit is removed from the sedimentation tank via a system of screws. A horizontal shaftless grit conveying screw transports settled grit to sump. Grit is removed from the sump via a shafted extraction screw which lifts the grit from the tank, for discharge into a bin. 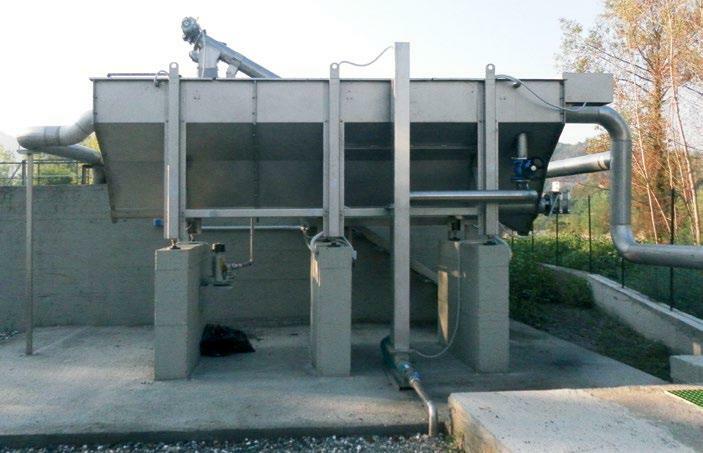 A blower can be installed as an option in the sedimentation tank, to assist with fluidising the settled sand & grit, and to provide classification, for easier removal by the extraction screw. 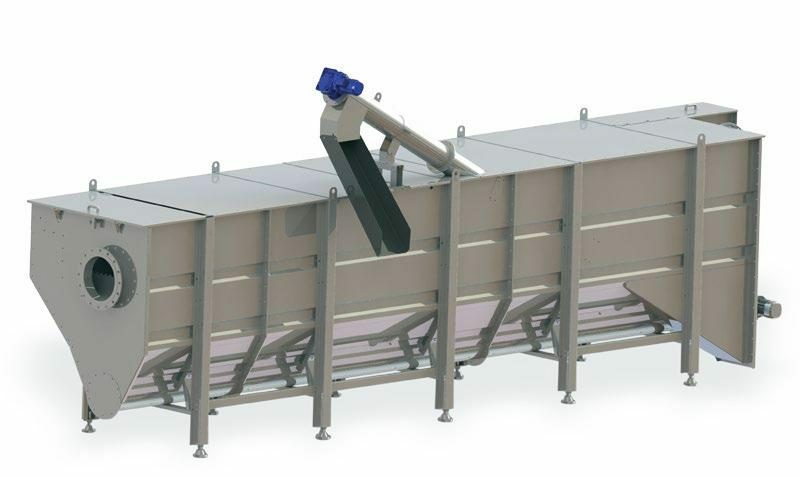 As an option, this Compact System can also be configured to remove fats, oils and grease. Using as reference design basis influent TSS 500 mg/L with up to 0.5% grit, the typical performance of the ICrs is up to 90% removal efficiency for grit particles > 200 µm. The ICrs is available in various treatment capacities ranging from 10 to 150 L/s.